The Academic Collaboration and Coordination Model to Ensure Student Success in STEM (ACCESS STEM) partnership has earned the National Science Foundation’s Scholarships in STEM (S-STEM) grant to provide scholarships to students at Anoka-Ramsey Community College and other partner colleges through a partnership with St. Cloud State University. 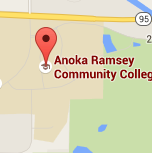 Scholars at Anoka-Ramsey are eligible to receive up to $7,500 per year for two years. 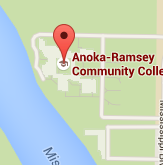 Scholars who receive a two-year scholarship and complete their STEM degree program at Anoka-Ramsey will have the opportunity to receive an additional two-year scholarship of up to $9,000 per year if they successfully transfer to St. Cloud State University. Anoka-Ramsey provides academic support services to ACCESS STEM scholars including tutoring, embedded learning assistants, recurrent advising, and undergraduate research opportunities. This material is based upon work supported by the National Science Foundation under Grant No. 1742517. Any opinions, findings and conclusions or recommendations expressed in this material are those of the author(s) and do not necessarily reflect the views of the National Science Foundation. Be enrolled full time in a program leading to a STEM degree at the associate level. Applicants must be first-year college students or attended college as a PSEO student, and enrollment must be full-time for each semester a student receives a scholarship. Students at ARCC will need to transfer to St. Cloud State to receive an additional two-year scholarship at St. Cloud State. Demonstrate academic potential or ability with a high school GPA above 3.0 and an ACT Math score of 22 or above. Eligibility for a PELL grant as determined by the completion of their FAFSA. Scholarship applications will be accepted beginning in spring semester 2018.